USP Technology cleans heat exchangers continuously and during operation using ultrasound. Specialized transducers are affixed to the tube-sheet of shell and tube exchangers. 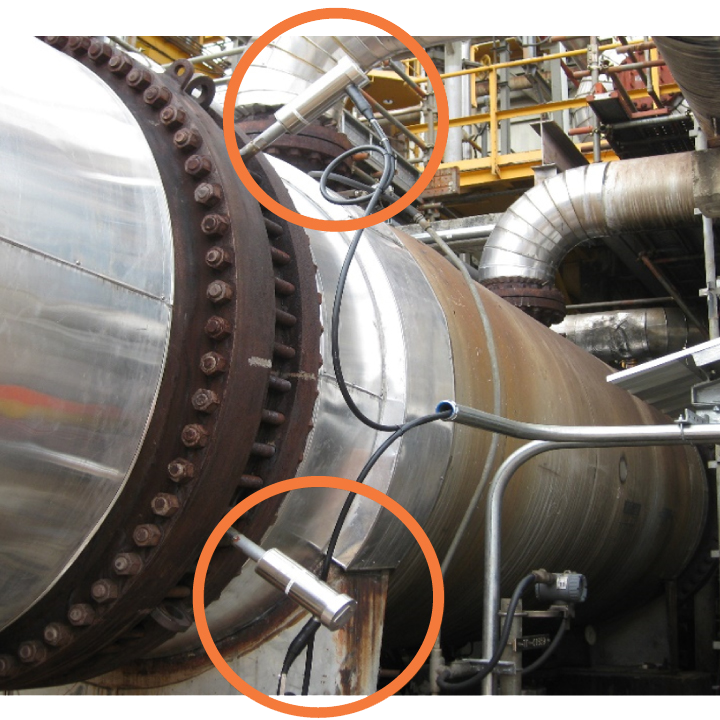 High frequency, low displacement vibrations prevent mineral scale and fouling build-up from settling, which improves heat transfer efficiency and significantly lowers operational-energy costs. 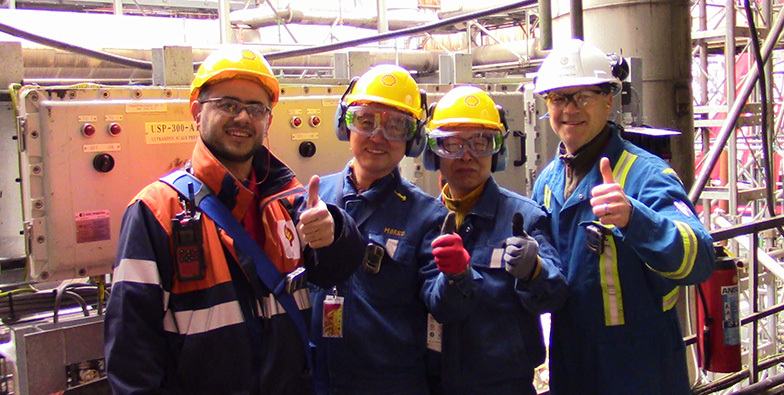 The improved energy recovery and furnace efficiency has allowed our unit to recovery $1.5 million (USD) in savings. The key benefit for us is uptime. Before USP we were cleaning in situ every 6-8 weeks. With USP, our boilers did not need cleaning for 3 years. USP has had a significant effect in reducing the fouling rate. Is your Process a Candidate for Ultrasonic Clean-In-Place? 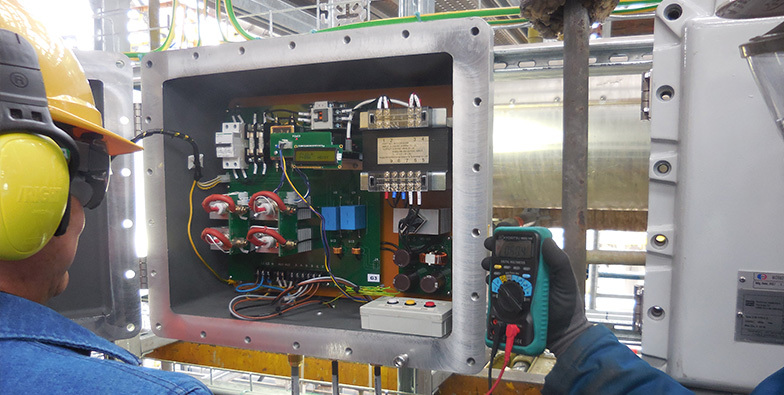 Our Candidate Form verifies if a heat exchanger is a candidate for ultrasonic Clean-In-Place technology. Installation of MORKO USP – Shell Pernis, 2015. Installation of MORKO USP – Dow Chemical Terneuzen, 2017.